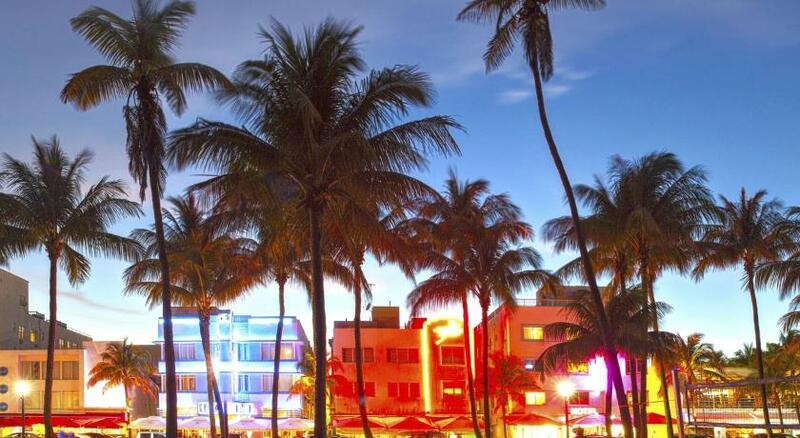 Lock in a great price for Kimpton Angler’s Hotel South Beach - rated 8.5 by recent guests. Nice facilities, excellent services, everything above expected. The hotel is very clean, quite, luxurious in a simple way. Its location is marvelous close to the beach( two blocks) and close to the shopping road ( one block). Staying the hotel was wonderful and amazing. The area where the hotel is, is marvelous and worth staying at. All stuff are new and the building is also new. I loved my staying there. I enjoyed my travel at the south beach which was due in part to the hotel. Unfortunately, I did not go to the swimming pool, hence I could not rate it. I did not use the parking lot. The breakfast was good. There was daily free coffee and tea. Nice and very professional barkeeper at hotel bar with good suggestions. Super hotel recently refurbished. Friendly and attentive staff. Great location. The service was outstanding! My room was very comfortable and the location was perfect. One of our bestsellers in Miami Beach! Situated in a historic Mediterranean Revival setting, this resort in Miami Beach features a rooftop pool with bar and lounge as well as eco-friendly amenities and savory dining. South Beach is 2 blocks away. A complimentary social hour is offered every evening. Complimentary morning coffee and tea are offered daily as well. Elegant studios feature a comfortable seating area with plasma TV, DVD player and iPod dock. Kimpton Angler’s Hotel provides each studio with a minibar. The studios are decorated in soft colors and wood furniture. Free Wi-Fi and concierge services are offered 24-hours. Complimentary beach bags with a towel and a bottle of water are available at the front desk. Complimentary bike rentals are provided. Miami Beach Marina, 4 blocks away, offers water sport activities. Miami International Airport is 8 miles away. Kimpton Angler’s Hotel South Beach has been welcoming Booking.com guests since 27 Dec 2011. 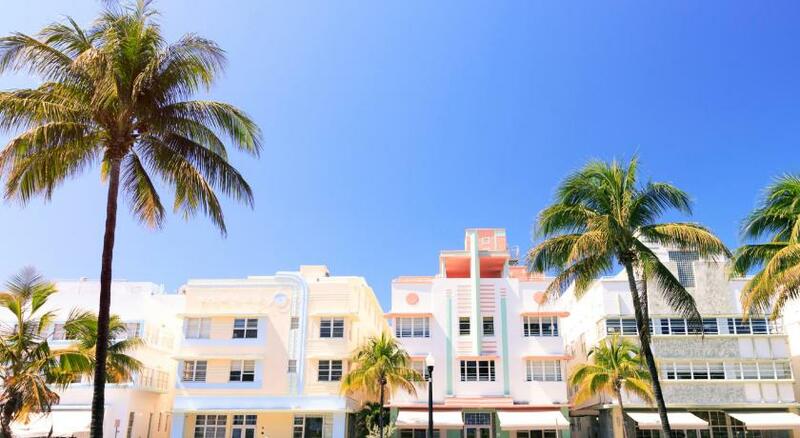 When would you like to stay at Kimpton Angler’s Hotel South Beach? This suite features a living room and 1 full bathroom. Views of the pool, city, or courtyard area are included. This loft features a living area, 1 full bath with spiral staircase that leads into 2nd level, and views of the courtyard and outdoor terrace. This suite features a living area, 1 full bath, and courtyard view. This villa features a private garden entrance, 2 levels, and a living area. Two full bathrooms and a small bar are also included. Adjacent to the pool, this 3-level bungalow includes a separate seating area, 2 full bathrooms, and a private rooftop terrace with an outdoor shower and lounge area. This studio features a terrace as well as a flat-screen TV and a private bathroom. This corner room includes a private bathroom with a spa bath. An outdoor terrace with courtyard or city views may also be provided. House rules Kimpton Angler’s Hotel South Beach takes special requests - add in the next step! Kimpton Angler’s Hotel South Beach accepts these cards and reserves the right to temporarily hold an amount prior to arrival. Please note: Kimpton Hotels considers 10 or more rooms a group. Kimpton Hotels reserves the right to cancel 10 or more rooms booked online. Please contact the hotel directly if you are booking 10 or more rooms. The Breakfast Included Rate is only for 2 people. Additional guest will incur additional charges. Freezing cold in the common areas due to very strong AC. The pool area not so nice, building construction across the street therefore very noisy too. No gym, which was a minus for me personally. Very nicely decorated and new hotel. Construction site right next to the hotel. Made the roof top pool really not a relaxing place to be as it was so loud. This is out of the hotels control but if I would of known this I would of booked else where. The stay was expensive for not including breakfast. We had to ask for our room to be cleaned. Also unclear when paying the bill as they take the whole stay from your card even though they tell you it will be €200. No one at the pool bar. We went one day and no towels or water. For the cost this was disappointing. I would say it’s a nicely decorated hotel and is clean but I would look else where. Stinky room and across the street is construction site. Still the price is high! No coffee machine in the room. Clean, new and quite large room. Friendly staff. Front desk staff we not helpful or friendly - no eye contact or apologies for issues. Had a problem with our room booking (was given a noisy room at the front of the hotel overlooking the building site opposite - for $650+ per night - not good). Front desk staff said there was nothing they could do and to ask again in the morning - not helpful - though they did move us to a better room at the back of the hotel the following day after asking to be moved twice. Still the time to deal with a problem is when it happens - don't just dismiss the customer and say try again tomorrow. Rooms have the noisiest fridge i've ever heard - had to unplug the fridge every night to get some sleep . $3 for a tiny bottle of water in the room - seems like it's all about getting as much money as possible out of the customer - for the prices of the rooms water should be complimentary. Building work opposite was extremely noisy all day that meant that we couldn’t use the balcony or have the door ajar. Renovations on in-house restaurant needs to be completed ASAP. Lighting in room/bathroom is lacking. All rooms should have a refrigerator that allows for you to store your own goods. Microwave in the room would also be helpful. Chair at desk should have wheels for those that have issues with their hands. Lack of information about what to see and do. No food service by pool due to kitchen closed for private function.